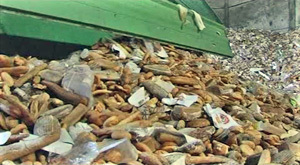 Are you wasting bread unnecessarily? Baked goods are amongst the most widely wasted in the UK and bread at the very top of the list. There are several possible reasons for this, including the easy availability of mass produced loaves and the fact that people tend to stick very closely to best before dates. One problem is people don’t want to run out of bread so they always tend to buy more rather than thinking closely about how much they will actually use. This can easily end up with a large amount being wasted. Storing bread in the right conditions is important if you want to maximise its freshness. Many people put it in the fridge but this will actually cause it to go stale much faster. Instead you should leave it in a cool, dry place, preferably in a bread bin or a cloth bag. The best before date is designed as a guide and does not mean that bread will instantly be unusable when the date on the label arrives. In fact, loaves can last a few days beyond this and you can freshen them up by moistening the crust with a little water and putting it in the oven to gently reheat for a few minutes. With careful storage a fresh packaged loaf could last for up to six days. As long as the product is not mouldy you can still use it. In fact there are even a few uses for stale bread that hasn’t developed mould. This is the best for making breadcrumbs because it will hold together better. You could also use it for bread pudding. Bread can also be frozen for later use and will last for up to six months in the freezer. It is better to freeze individual slices rather than the whole loaf so you can defrost pieces as and when you need them. This will dramatically cut the amount of wastage. We specialise in bread and bakery supply throughout the North West, offering a fantastic range of bakery products for shops. We know how important is it to offer a reliable service to these clients so they can pass on the best goods to their customers. We aim to achieve just that by keeping a close eye on all of our services and investing in the supply chain. Everywhere I go I see gluten free this, gluten free that… Newburn Bakehouse by Warburtons make gluten free bread, the supermarkets stock gluten free soup and you can even crack open a can of gluten free beer! But what actually is gluten? And why are more and more people wanting to steer clear of it? According to celiac.org: “gluten is a general name for the proteins found in wheat, rye, barley and triticale… it helps foods maintain their shape, acting as a glue that holds food together.” It has 4 basic functions when it comes to baking; it acts as a binder, adds structure and elasticity – and helps with water retention. That doesn’t sound too bad, does it? It helps our loaves become bouncy and moist. So gluten is good, right? In general, yes… unless you have coeliac disease or another form of irritable bowel syndrome that is. Coeliac disease is a digestive condition where people have an adverse reaction to certain food types and gluten in particular. Symptoms are pretty nasty, too. It causes bloating, abdominal pain, weight loss, tiredness, malnutrition… but luckily, it only affects around 1% of people. So why are people without bowel conditions avoiding gluten? I think that people have been fed false information and just seen it as ‘gluten is bad for you’, full stop. When in fact, bread and wholegrain bread in particular is full of B vitamins, fibre, iron and in a balanced diet can reduce the risk of diabetes and heart disease. So unless you have coeliac disease or another form of IBS you can (and should) carry on toasting,and making sandwiches. 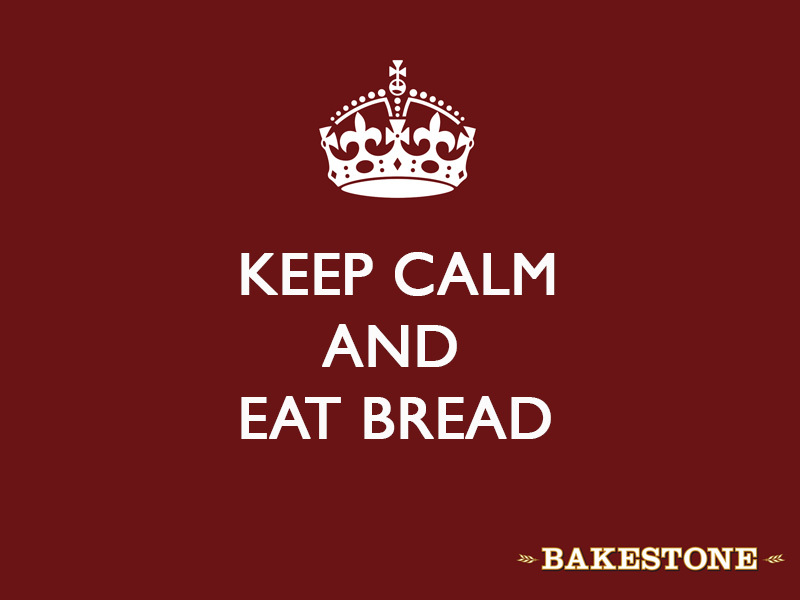 Keep bread as a British staple and buy Bakestone! Why do we eat hot cross buns? A traditional hot cross bun is a yeasted sweet bun that’s lightly spiced with cinnamon, and studded with raisins or currants, then marked on top with a cross that’s either piped with a paste or etched into the dough. There isn’t a main reason why Hot cross buns exist, Here are a few of the stories that are told about hot cross buns. English folklore includes many superstitions surrounding hot cross buns. One of them says that buns baked and served on Good Friday will not spoil or grow mouldy during the subsequent year. Another encourages keeping such a bun for medicinal purposes. A piece of it given to someone ill is said to help them recover. Sharing a hot cross bun with another is supposed to ensure friendship throughout the coming year, particularly if “Half for you and half for me, Between us two shall goodwill be” is said at the time, so some say they should only be cooked one at a time. Because there is a cross on the buns, some say they should be kissed before being eaten. If taken on a sea voyage, hot cross buns are said to protect against shipwreck. If hung in the kitchen, they are said to protect against fires and ensure that all breads turn out perfectly. The hanging bun is replaced each year.. A 12th-century monk introduced the cross to the bun. The origins of hot cross buns may go back as far as the 12th century. According to the story, an Anglican monk baked the buns and marked them with a cross in honor of Good Friday. Over time they gained popularity, and eventually became a symbol of Easter weekend. Towards the end of the 16th century, Queen Elizabeth I passed a law limiting the sale of sweet buns to funerals, Christmas, and the Friday before Easter. The English were deeply superstitious, believed the buns carried medicinal or magical properties, and were fearful of those powers being abused. Some even believed that buns baked on Good Friday would never go stale. As a way to get around the law, more and more people began baking these sweet buns at home. Not only did they grow in popularity, but the law became too difficult to enforce and was eventually rescinded. Anyway, what ever you believe or read on the subject do you like them? or do you loathe them? Baps, Barms, Teacakes or Rolls? Well we have always been debating what to call our buns in the North. We have lots of different names, and every town seems to have a different name for their version. Here in Manchester the most popular name is an Oven Bottom muffin. Anyway we have just had our morning goods or bakery products photographed last week and I wanted to share them with you as it is a vast choice of what we do. I have had a great day as I went to watch and listen to Jonathan Warburton talking about his family heritage and business, Warburtons Bread . The Family business networking event was based in Cumbria at The Lakeside Hotel in Newby Bridge. It is a lovely part of the country and was a lovely drive there and back. I hadn’t realised that Warburtons had started their bakery at the same time as General Custer and Sitting BullI where about in history in 1876. It just goes to show that you never really think about the history of businesses that you know and see in the news everyday. Anyway thought it was a great insight into the Warburtons family and Jonathan’s experience as Britain’s “favourite family bakers”. I don’t want to give away too many of his secrets, too be honest he didn’t tell me any, but he is charming, articulate and intelligent person and it was nice of him to give the afternoon up to share his thoughts and inspire us to think about our own business’s. The one core value that I have always achieved in my business career is Integrity, and that is what he was talking about amongst other subjects. It is the area that I think matters the most and has always stood me in good stead with my business peers. I think if you haven’t got Integrity then why would you want to do business with anyone. I generally find that I don’t go to too many of these networking events as I always think that you meet people from all sorts of businesses that are not really relevant to your line of work. That is generally true but you do get a lot of insight into how other business owner manage their business and their values and principals. They share with you their failings and success stories and it is good to get away from your own environment for a few hours and let you clear your thoughts. After meeting so many nice people and enjoying the few hours I was there, I will definitely go to more. The Cumbria Business Growth Hub is extremely well organised and well run by people It is a matter of committing to go to these events, but on a personal level I think it serves you well as a person and would recommend that you go to at least one event. I was reading recently that Tesco throw away 41% of all bakery products, I find that disgusting. They won’t be the only supermarket group that have this kind of waste in their bakery offering. I can’t understand as to why there is so much waste. Is it because they are having to offer availability at all times, day and night and if they haven’t got bread for customers when they want it will they go to a competitor? I think its too high a price to pay if that is the case. I know that certain supermarkets have very sophisticated ordering systems and even have bakery staff seconded into their head offices to help plan their requirements and stock, they have weather forecasts they buy to keep abreast of demand also,and still they have a mountain of waste. So the big question is if they are the throwing away so much food why are the bread prices at rock bottom? Well in my opinion its because they see bakery items as a method of enticing customers into their stores for a low cost item, when they really don’t care about the bakeries that are having to produce these products for next to nothing. 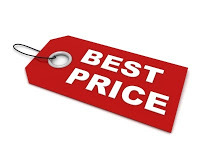 The supermarkets retail engineer all their prices so that what they throw away in bread , doesn’t matter as they make their money from customers on an average basket sale. The investments that bakeries are making just to keep up with the so called demand has forced prices down. There are too many bakeries fighting for sales and the prices are being governed by the supermarkets who are throwing away nearly half of it so that they can keep their volumes higher but pay less for it in the first place. It doesn’t matter to the supermarkets as they then go back to the bakers and tell them that that are not making much profit as they are having to throw lots away. Given that supermarket buyers in general are asking for ridiculous high margins to start with in the first place. The baker once inside this vicious circle has to come up with a lower price to keep the volume or in some cases the business in total as he needs to keep the volume to run the expensive machinery they have heavily invested in to supply the supermarkets, all in all a vicious circle. The best price is always the first price a baker gets when he starts his business relationship with a supermarket group.